The rail is the Statehouse term for the railing outside the House and Senate chambers where we lobbyists stalk wait to speak to legislators about our respective issues. This can result in a lot of side conversations and speculations about what might be going on behind closed doors. One of the big topics of conversation recently is centered around Workers’ Compensation. 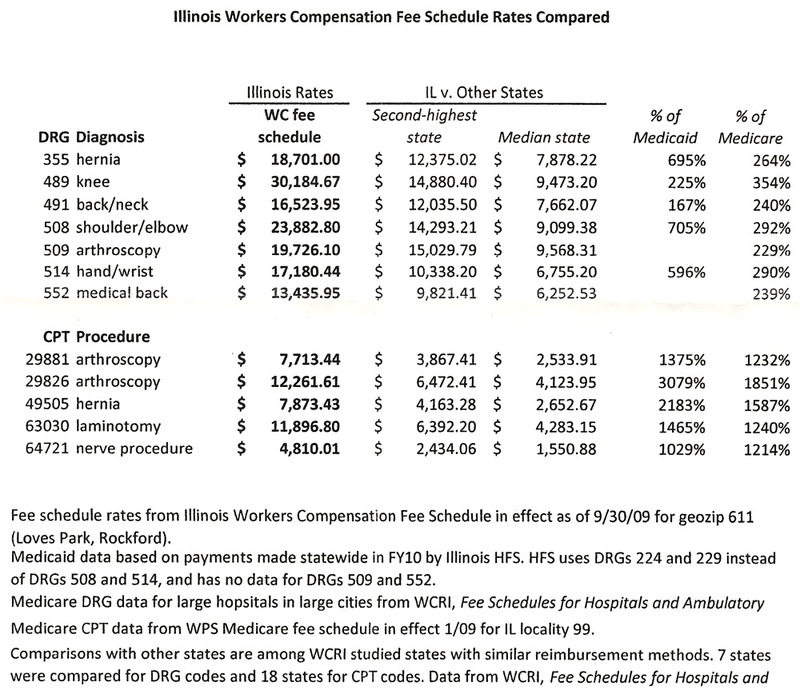 This is a major issue for businesses (IL has some of the highest WC costs in the country), doctors and lawyers (who handle a lot of WC business), unions (representing the rights of injured workers), and of course the State (with all it’s state employees, is a business onto itself). Sen. McCarter’s (the business) workers’ comp reform bill is here. Rep. Bradley’s (eliminate WC) bill is here.